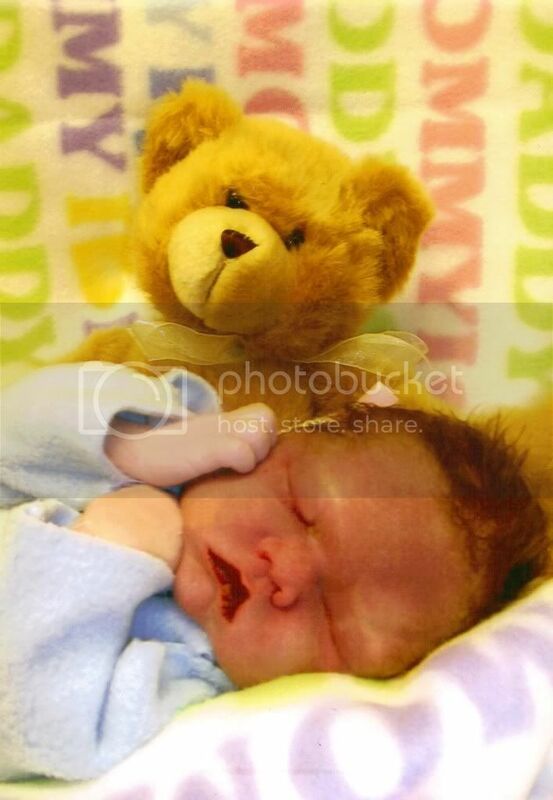 William would have been a week old on April 8, 2009, if he’d been alive the day I pushed him into the world. My due date. We’d been anticipating that date for nine months. He lived inside of me for three-quarters of a year. I held him in my womb for three seasons. Spring seems like such a perfect time for birth, when everything is coming alive. Now, for me, everything feels dead, and my baby is dead, and the last thing I want to do is watch the world come to life again. I keep thinking, I should have known. The worst thought is wondering if I did know. Did I ignore my instincts and intuitions? I think I did. I was so tired…so tired, so much in pain. I’d been laboring at night for five days, all night long having contractions that hurt like hell, but by morning, they’d be gone. I called my midwife two days before our scheduled appointment on Wednesday April 1, 2009 and told her about this unusual labor pattern. It was very strange for me – very strange. My body didn’t labor this way, I said. When labor starts for me, contractions begin, get longer, stronger and closer together, and then the baby comes. My labors have never stalled, never been what they call “prodromal.” I’ve never had false labor. Four babies, and never. It can happen, she said. Stay hydrated, get lots of rest. She did this with several of her babies, she said. Weeks, sometimes. I cried after I got off the phone. Weeks? I couldn’t stand weeks of this. I was exhausted to the point I thought I was starting to hallucinate. Every time I tried to rest, take a nap, the contractions would start again. So ironic. That evening, before my husband came home, I felt William stir. Usually an active baby, he’d be quiet the past few days. My midwife said they slowed down at the end, and I knew it was true. Maybe labor really was coming, I told myself. It would be over soon. When I felt him – a flurry of activity, lots of wiggling, squirming, I was so relieved. There was my little man! Thank goodness… in the back of my mind, I’d been wondering. Was he okay? How was he handling all this awful pre-labor stuff? That night, I had more contractions. Up again, exhausted. I slept the next afternoon for a good three hours. So tired. I could barely get up to make dinner. Everything hurt. This couldn’t go on much longer. I had a midwife appointment the next day, and was considering asking her to give me something to get these contractions to either a) go away or b) get productive enough to bring the baby! I finally got almost a full night’s sleep on Tuesday. I didn’t know why the contractions stopped that night, but I was grateful. Wednesday dawned, and I was glad I had a midwife appointment. We’d hear the heartbeat today, and all the crazy anxiety and worry would disappear, and maybe I’d even be holding him by the next day, if we could get the contractions moving again. We did all the usual things. I peed on the stick – perfect pee. Blood pressure? Perfect. Measuring 37 weeks. (I was officially 39 weeks…) We’d determined he wasn’t going to be a moose like his brother (a nine pounder!) so I wasn’t surprised. My first two had been in the seven pound range, and that’s about what we expected. I told my midwife about my concerns… he’d been moving less. I hadn’t slept because of this strange labor pattern. And I was anxious. A mother on one of my mommy boards had lost her baby just a few days ago – stillborn. Gone, with no explanation. Gone at full term. It was anathema to me. Impossible. That just shouldn’t happen. And then she put the doppler to my belly, and I knew. I hoped – I held my breath and listened – but there was nothing. She found my heartbeat, several times. The sound of the placenta. Whoosh – whoosh – whoosh. But there was no galloping racehorse sound of my little man’s heart. I looked over at my husband and shook my head, mouthing, “He’s gone.” I knew. I just knew. I couldn’t believe it, even as I said it, but I knew. She tried and tried. She moved him around, felt where he was in my belly. She shifted him easily from one side of my belly to the other, and I looked at her and saw the same thing in her eyes. No baby moved that easily. He’d always fought to stay right where he was, comfortable with his back on my right side instead of my left. I never could move him, even if I tried. “Should we go to the hospital?” I suggested. It was a comedy of errors, getting to the hospital. No one knew how to get there. I’d Mapquested a different hospital, a little further south, but my midwife didn’t want to go to that one. I called the hospital three times for directions, and got three different ways to get there from three different people. Finally got through to labor and delivery, and they said to come straight up. We parked, and my husband took my daughter’s hand, and I took my son’s and we walked across the lot and into the hospital. They were ready for us. I settled myself on a gurney in triage. We were all there – my husband, my children, my midwife – listening. The nurse used the monitor first, pressing it around in different areas on my belly. She picked up my heartbeat just fine. But nothing else. “I’ll have them order an ultrasound,” the nurse said, handing me a towel to wipe my stomach. “Is there any chance that the ultrasound is going to show something different, if we can’t hear the heartbeat with that?” my husband asked. “Not much of one,” I answered him myself. It wasn’t until the ultrasound, though, that it was official. I watched them – three nurses and the ultrasound tech – because I couldn’t see the screen. Everyone else could, of course, but not me. It was my husband who said, “There’s no movement.” But he didn’t have to tell me. I saw it in those women’s eyes – the sorrow and horror showed on every one of their faces, the same feeling I’d had two days ago, when I heard about another baby’s death, when I’d been standing outside looking in. Now I wasn’t anymore. At some point, between then and now, I’d crossed over into another world, and now they were looking in at me. “It’s not the answer you were hoping for,” one of them said. And I hadn’t. Of course I hadn’t. Hoped, yes. Prayed. Wanted to believe. But expected? No. “Yes,” I nodded and held my arms out and my daughter fell into them, sobbing. But I never once believed it. “Can I have an epidural?” That’s the first thing I said. Actually, the first thing I asked for was a c-section. Me, the woman who’s had four natural births, who avoids medication and medical intervention if at all possible. I wanted them to cut me open. Apparently, that wasn’t an option. Something about recovering from major abdominal surgery. Like I cared. I was horrified that they wanted me to have this baby now. Now? Were they serious? I was going to have to labor and push out my dead child? Were they high? Insane? Just sadistic and cruel? What? “You mean – before we even induce you?” The nurse blinked at me. So I let her. And irony of all ironies… I was 6-7 centimeters and 85% effaced… I was more than halfway there already. I shook my head and sighed. What was the point? All they’d need to do was give me a little pitocin, and he’d be here. Oh my god. My baby… my baby… the sweet, precious baby I’d been waiting to see and hold, he would be here… and he would lifeless, dead. I couldn’t wrap my mind around it. I couldn’t even begin to. She didn’t have to tell me. This wasn’t a joyous occasion. I was already in another world, separate from all the other mothers who were giving birth to babies who would open their eyes, wail, and take their first breath. I wasn’t one of those anymore. She just squeezed my hand. I think she knew the level of denial I was functioning at. I had to…what else could I do? Both of my children were there. I couldn’t collapse, I couldn’t fall apart. And I still had work to do. One more thing. I had to bring my baby’s body into the world and hold him for the first and last time. I had never wanted to give birth in the hospital again, but here I was, putting on the hospital gown, getting up on the bed, holding my wrist out for the bracelet, the starting of the I.V. Four sticks and several large bruises later – I still have one on my arm the size of a deck of cards – the Pitocin was turned on. Our niece-in-law, S., arrived to be with the kids. She came in with tears in her eyes and I almost couldn’t look at her. She hasn’t had a baby yet – I’m sure it won’t be long before they do (of course, I’ve been thinking that since they got married a few years ago…) but she adores kids. Ours love her – she plays with them, delights in them. She’s a born mother – or nanny! She went out to the waiting room, where our midwife had them corralled for the moment while I labored. And still, the contractions weren’t that horrible. No worse than they’d been for days. The nurse asked when I started active labor, and I just looked at her. Officially, active labor is labor after 4 cm. But I had no idea. No idea at all. To me, this didn’t feel “active.” It had never felt “active,” and I realized… it was because he was gone. He was going, going, gone, and none of this labor was actively bringing my baby to me. It was just bringing me his body, an empty shell of what he could have been. The doctor was kind – much kinder than I expected, given that we had planned a home birth, but here we were, in her delivery room. They took blood, urine, ran all sorts of tests, and everything was coming back negative. No infection, my blood pressure was perfect, no signs of…anything. I’d had all the early ultrasounds and tests done, too. The baby had been fine, perfect, no anomalies. She broke my water, and I stared, horrified, at the meconium. So thick, so much. There was hardly any water left – and the mucus on her hand when she showed me her glove was a thick, curd-like orange color, and there was so much of it… what had happened? What could possibly have happened? For the first time I was really afraid… afraid of seeing him, of what he would look like. She wanted me to try to push – I was at about 9cm, just a lip of cervix now. I’d pushed past that before, at least twice with two other babies. I was sure I could, and the pain and pressure now that the baby was lower was becoming unbearable. Besides…I wanted it over. I really just wanted it to end. God, that was hard. Hearing it, doing it. Flat on my back, I pushed, hard, harder, hard as I could, but I was pushing uphill. Impossible. No matter how hard I pushed, he wasn’t coming, He was hardly moving. What was wrong? They kept telling me he wasn’t very big. He’d only measured on ultrasound at 33 weeks…a tiny baby. I’d birthed a nine pounder, and he slid out like a fat, greased trout, easy enough. What was wrong? “I’m still pushing uphill!” I gasped, shaking my head, turning around in the bed. That was around nine-thirty, I think. That was the last time I looked at the clock. The contractions came harder, closer. This was labor. This was what I remembered. The baby’s head, I felt his head, moving down, opening me, impossibly huge. The pain was incredible. Worse than any birth I’d ever had. I screamed. My husband let me squeeze his hand as I felt my body begin to push. The baby was moving, he was coming, but it was slow and it hurt like hell. “I should have had the epidural!” I remember saying that. I remember saying I didn’t want to do it. I remember telling them I couldn’t do it, that he wasn’t coming, that he would never come. I said I couldn’t push him out. I meant it. Not just that I didn’t want to, but that I was physically incapable of this feat. It was like a bowling ball stuck between my legs, a rock, a boulder, impossible to move. “Are you ready?” she asked, and I pushed. I pushed into and past the searing pain between my legs, I pushed until I thought I would split in half – I remember saying that out loud. My whole world was cracking wide open, and I was being torn apart from the inside out. It wasn’t like any of my other births. It wasn’t anything close. This was something else, not a birth at all. This was a delivery, in the truest sense of the word, an execution, a function. I was doing it, and I was doing it all. There was no squirmy, wiggling baby helping me, arching his back, turning his head, negotiating his way into the world. It was all me, because what I was bringing into the world wasn’t my baby anymore. My baby was gone. And I held out my arms, and said, “Yes, give him to me,” and they put him on me and I cradled him close, lifeless and still but so precious, so perfect. “He looks like me,” M. said, and he was crying. “But he has my mouth.” I touched it, a perfect red rosebud, and that’s when I cried, when I saw that little mouth that would never open for the nourishment of my breast, and saw his eyelashes, sooty black against his cheek, and knew I would never see them open. This was our baby, William George, with all that thick, dark hair, and those long, delicate fingers. This was who had grown and moved inside of me, up until… when? Twelve hours ago? Twenty- four? He had been conscious, aware. He heard my voice. Did he know how much he was loved? Did he feel it? Does love pass through the placenta? I held him, and I cried, and I knew he was gone from me, and nothing could bring him back again. Why had I been so afraid of him? Afraid to see him, touch him, even think of him, after I knew he was gone? Death scares us so much, that constant reminder. We’re mortal. We live, we die. We’re transient, our time here so short. But he was beautiful, so very perfect. He looked just like his daddy, and had the most hair of any of my babies. (All that heartburn! Oy! Wives tale or no, he sure had a lot of hair!) Everyone said how beautiful he was. So bittersweet. Tiny little man – he reminded me of his sister, with her long limbs and fingers. He got that from me. That, and his perfect little mouth. Everything else was all his daddy. When I handed him to M. and saw the look on his face, I thought my heart would break in half. I wanted to tell him I was sorry. I knew it was my fault somehow. My body had broken him, our baby. It hadn’t kept him safe. I was a horrible mother, I had failed my baby, my husband, my children. Our perfect little boy, our nine-month dream, was gone, and I blamed no one but myself. The doctor asked me – I’d almost forgotten she existed – to push the placenta out. I didn’t want to. It hurt too much. I told her so, and she said, “Well, I don’t want to pull on the cord,” and that was enough to motivate me. I pushed out his placenta, deeply stained with meconium. He’d been in stress, that much was obvious, or he’d been gone a while. How long? I wondered. What was the last thing he heard? Felt? Having a wonderfully overactive imagination isn’t all that great at times like these. I can imagine perfectly well what it might have been like in the darkness for him, losing consciousness, losing his life. And all the while, I was oblivious. The one person in the world who was connected to him, who was entrusted to love him, protect him, keep him safe. And I couldn’t do it. My body betrayed me. My baby died in the very cradle of my womb and became nothing more than a watery grave. The doctor announced I had an intact perineum and cleaned me up. She said she wanted to send the placenta in for examination, and we agreed. Then the nurses asked if they could take William, give him a bath, take his picture. I nodded. It didn’t matter, did it? I wanted him with me, but I wanted him alive. That wasn’t going to happen. Ever. Another nurse encouraged me to get up, take a shower. Numbly, I did. I hate hot showers – I’m very temperature sensitive – but I couldn’t feel it that night. I watched my skin turn red – the nurse said she turned it on full hot to get it warm, warned me I might need to adjust to make it cooler – but I couldn’t feel it. I washed. I washed until I thought my skin would slough off, just like my baby’s had. I wanted to be dead, too. Every time I closed my eyes, I saw his face. He was clean, dressed and wrapped up when the nurse brought him back in. Five pounds, four ounces, she said. Eighteen inches long. Almost exactly the size of our daughter when she was born. The nurse was sweet – so young, her eyes done up with glitter make-up, she reminded me of a fairy or an angel – and seeing her carrying my dead baby in to me was like waking up into some sort of surreal dream. This couldn’t be my life. This couldn’t be happening. The nurse showed us the pictures she’d taken, quite proud of the job she’d done. And I praised her. They were lovely. She’d done a wonderful job. But it wasn’t much of a consolation for a dead baby. I was supposed to be in my birth tub at home. I was supposed to be lifting my baby to my breast, hearing him wail, feeling him kick his little legs on the outside now instead of the inside. We were supposed to be saying our cord cutting prayer before Daddy cut his cord with his special knife, the knife he would pass on when William was old enough to know and understand what it meant. We were supposed to be taking off the bracelets we made, the ones we’d been wearing for weeks, waiting his arrival. I was still wearing mine. So were the kids. I remembered them, and M. had the midwife bring the kids back in, and my niece-in-law, S. had tears in her eyes as she took pictures of our little family, still only four instead of five, even though William was there, cradled in my arms. He was gone from us, and would never reach for and pull his sister’s hair or throw his sippy cup off his high chair tray and make his older brother pick it up again…and again. Our daughter, Z., held him and exclaimed over how perfect and adorable he was. And I thought my heart couldn’t break any more. Our six-year-old son, D., skipped sad and went straight to angry. “I don’t want to hold that,” he said. I winced. “Are you sure? You won’t get another chance,” I reminded him gently. He sat in the chair, folded his arms across his chest, and scowled as his sister cooed over her little brother. Finally, D. crept onto the bed and held out his arms. I put William in them, and the words, “Careful,” came out of my mouth just on reflex as I protected William’s little head. But there was no reason, was there? He was gone – he wasn’t feeling any of this. We were feeling it all, and it was pain beyond pain. D. cried and kissed him and I thought the world might end, right then and there. I wished it would. Seeing my living son cradle my dead one? I never, ever want to see anything like it again. We took off our bracelets, and put them in the box the nurse had left us. Little blue box with his pictures in it. A keepsake box. I was going to be one of those mothers with a tragedy put away in my closet. I imagined myself packing it the next time we moved. And the time after that. Instead of a growing baby, a child, I would move a box of things from place to place. It was too horrible to think about for long. S. went home, then, and soon after, our midwife went home, too. The nurses said we could spend as much time with William as we wanted, but it was midnight now, and our living children were tired – over tired – and it was time to go home. Two hours after he’d been born, we were leaving the hospital without him. They took him away, undressed him and packed his clothes into my little blue box. They included a lock of his hair, his hospital bracelet, a card with his name, the date, his weight and length. And they had us pick a funeral home – we just took their suggestion. Did it really matter? Was anything ever going to matter again, I wondered? And then we went home. I carried a blue memory box instead of a baby, and I tucked two children in that night instead of three. There was no baby moving in my belly, no baby next to me in the co-sleeper. M. wanted to move the tub out of the bathroom, take down the co-sleeper, but I said no. Not tonight. Not now. He asked about William’s things. Such a pragmatic, masculine question. What were we going to do with them – his clothes, the nursery – but I couldn’t talk about that. Not yet. M. lit a candle for William, and it burned into the night. I resented that candle, that flickering flame, a memorial for the baby I would never hold again. I didn’t want a candle, or condolences, or a blue box to put in my closet. In the morning, that candle was a fat, solid wax puddle on the plate, spilled over and burned out, and it was exactly how I felt. In the morning, William was still dead, I was still alive, and our lives were changed forever. I’m so very sorry. William makes you a better doula – a better mother. I know it’s no comfort. Thank you for being his mother. I am so very sorry for your loss. I know my words are of little comfort, and I am sure you’ve heard that phrase from countless people, but I understand your pain. My husband and I lost our daughter, our first baby, to SIDS, and there is no comparison to the pain of never being able to see our sweet girls face again.. I am grateful for the 27 days I had with her, and cannot imagine never having been able to bring her home. Your story is beautifully written, and your little man was absolutely perfect and beautiful. I hope you are finding some peace these days…..